HBO has released another teaser trailer for Game Of Thrones season 8 and it is safe to say that Winterfell is looking chillingly empty! The clip named ‘Aftermath’ shows Winterfell covered in snow and ice without a soul in sight. The only hint as to what has happened is a few important items left in the snow such as the feather Robert put on Lyanna’s tomb, Jaime’s golden hand, and Tyrion’s pin. Daenerys’ chain can also be spotted among the snow, as can a Dragonglass arrow. 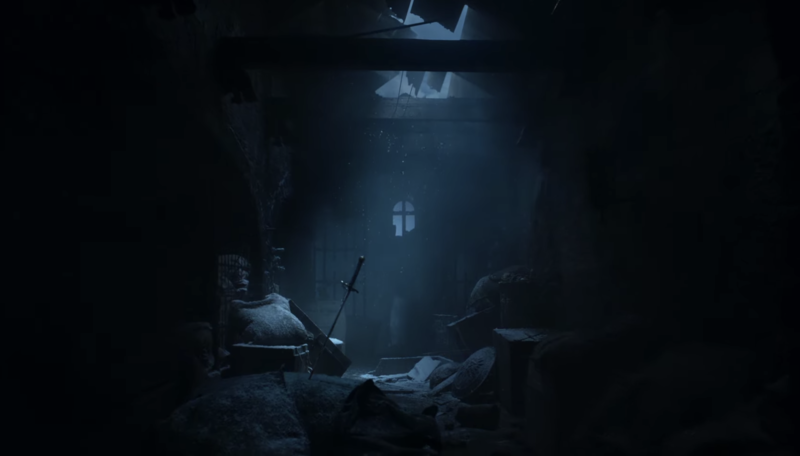 We also see Jon Snow and Arya Stark’s swords Needle and Longclaw abandoned in the snow…perhaps a hinting at what is going to happen to all the characters. Game Of Thrones season 8 premiers on the 14th April 2019, so only a couple of weeks left until we find out the truth.